During Thanksgiving weekend, while my wife talked with her sister about her baby registry, I checked to see who happens to own BabyRegistry.com. The domain name was owned by iVillage back in 2005, but iVillage was bought out by NBC Universal, which is owned by General Electric, the company that now owns the domain name. 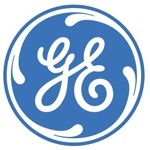 It wasn’t a surprise that a company like GE owned a great name like this. It was a surprise that they are parking it with Sedo instead of having a website on it. For a number of years, the domain name resided on Yahoo nameservers, but in early April of 2009, the DNS changed to UltraDNS, and later in April, they were moved again to SedoParking DNS. Despite the fact that GE is one of the largest companies in the world, they aren’t doing much with this great domain name. They could either partner with a company that offers a baby registry, or forward it to one of their product websites, as they do with other generic names they own. A quick Google search also shows that other solid GE domain assets are also parked with Sedo. Some of those names include Women.net, ParkinsonsControl.com, UnderstandingADHD.com, LeukemiaInnovations.com (which happens to be listed for sale), and HealthyFamily.com. It does appear that General Electric also sells domain names. Fingernails.com was owned by GE dating back to 2007 (another acquisition in the iVillage deal). As of November 19, 2009, the domain name changed hands, and is now registered to another company. The owner must have gotten a great deal, because the name is currently listed for sale at BuyDomains for $20,000. I would be surprised if GE listed the domains on Sedo, but maybe after I had a phone conversation with a lady from GE… they figured out domain names may have some value! I am aware of some domain names they simply let expire. Why in the world they would use Sedo for parking like you said…. with a domain name like that! Interesting topic. I doubt most companies think about investing in domain names. I’m thinking of making specific websites that deal with a specific subject and try to sell it to partner with companies that would benefit from having the domain name/website. For us it may seem ridiculous to not utilize a domain name such as BabyRegistry.com for more then just a 1 page lander, but the reality is the incremental revenue they would gain is small potatoes. Consider the fact that they generated $37,361,000,000 in revenue the last quarter. Been there, done that. In fact I was the one who once upon a time helped build some of the websites you mention above. iVillage has some great names – including women.com. When I worked for NBCU I tried to get them more into acquiring names and doing more with the ones that they have. And while it is easy for us to say (and I did) “man are they dumb for not developing babyregistry.com” – their entire focus was on building up ivillage and making NBC think they didn’t overpay by 30x when they bought them for $600 million. Big companies miss “small change” opportunities like this all the time, and although I frequently would call them out like you are now – I understand their position now a bit more than I once did. And they are definitely selling through SEDO – i bought a name this spring of a website that I had built when I was with them 3 years ago.